AgION® antimicrobial additive prevents the growth of bacteria, mold and fungus. Documents stay secure with locking round rings. Rings mounted on the back lid allow pages to lie flat and reduce wear. 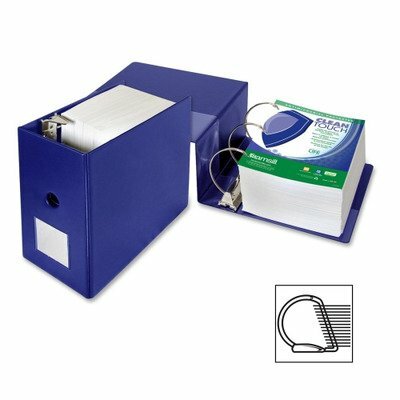 Organize your binders with fast-refrence label holders. Two clear inside pockets provide extra storage for loose documents. Built to last--heavy-duty construction. AgION® antimicrobial additive prevents the growth of bacteria, mold and fungus. Documents stay secure with locking round rings. Rings mounted on the back lid allow pages to lie flat and reduce wear. Organize your binders with fast-reference label holders. Two clear inside pockets provide extra storage for loose documents. Built to last-heavy-duty construction. 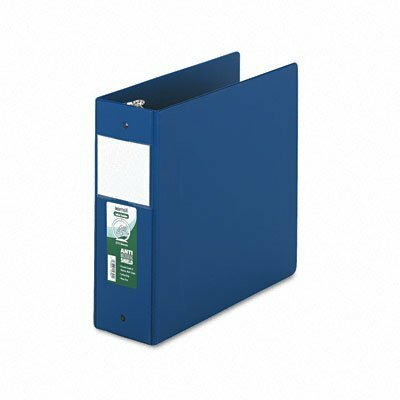 Global Product Type: Binders-Ring Binder; Maximum Capacity Range ("): 4 in; Color(s): Dark Blue; Binder Sheet Size: 11 x 8 1/2. Clean Touch binders promote cleaner schools, offices, homes, and hospitals with built in protection. Agion's all natural additive fights against the growth of bacteria, mold, fungus, and mildew for the life of the binder. Agion's additive is nature's antimicrobial and is based on silver (not nanosilver). Organize your binders with fast reference label holder. Capacity Range [Max]: 4"; Sheet Capacity: 700; Color(s): Black; Binder Sheet Size: 11 x 8 1/2. 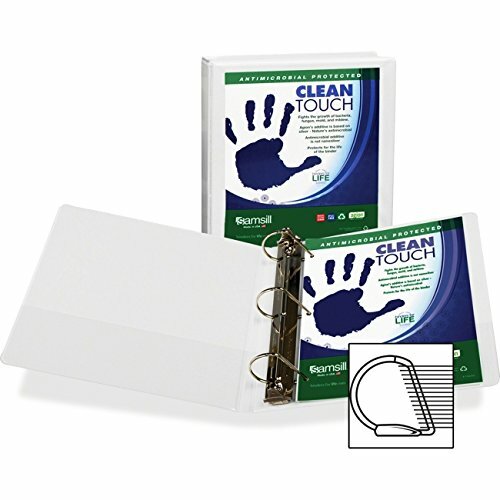 Clean TouchTM binders are protected with an all natural, silver-based antimicrobial additive. Built-in protection fights the growth of bacteria, mold, fungus and mildew on the binder's surface. Antimicrobial protection does not wear off and lasts for the life of the binder. Agion's additive is based on silver (not nanosilver)-Nature's Antimicrobial. Locking rings mounted on back cover allow pages to lie flat while reducing wear and tear. Two clear, inside pockets provide extra storage for loose documents. Fast-reference label holders make organization easy. Clean TouchTM is a Binders for Life product and features a lifetime product guarantee. 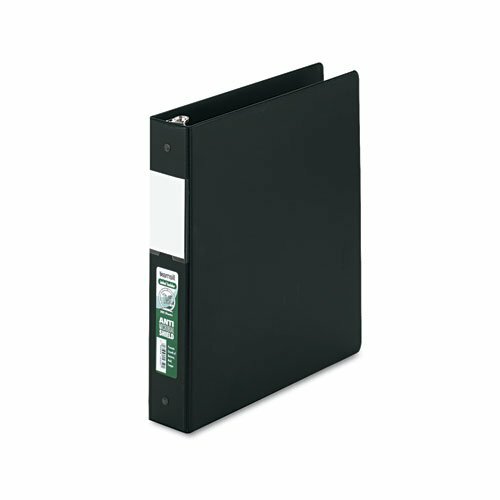 Capacity Range [Max]: 4"; Sheet Capacity: 700; Color(s): Black; Binder Sheet Size: 11 x 8 1/2. Clean TouchTM binders are protected with an all natural, silver-based antimicrobial additive. Built-in protection fights the growth of bacteria, mold, fungus and mildew on the binder's surface. Antimicrobial protection does not wear off and lasts for the life of the binder. Agion's additive is based on silver (not nanosilver)-Nature's Antimicrobial. Locking D-rings mounted on back cover allow pages to lie flat and reduce wear and tear while holding up to 25% more pages than standard round rings. Two clear, inside pockets provide extra storage for loose documents. Fast-reference label holders make organization easy. Clean TouchTM is a Binders for Life product and features a lifetime product guarantee. Capacity Range [Max]: 5"; Sheet Capacity: 1,050; Color(s): Black; Binder Sheet Size: 11 x 8 1/2. Clean Touch binders promote cleaner schools, offices, homes, and hospitals with built in protection. Agion's all natural additive fights against the growth of bacteria, mold, fungus, and mildew for the life of the binder. Agion's additive is nature's antimicrobial and is based on silver (not nanosilver). Organize your binders with fast reference label holder. 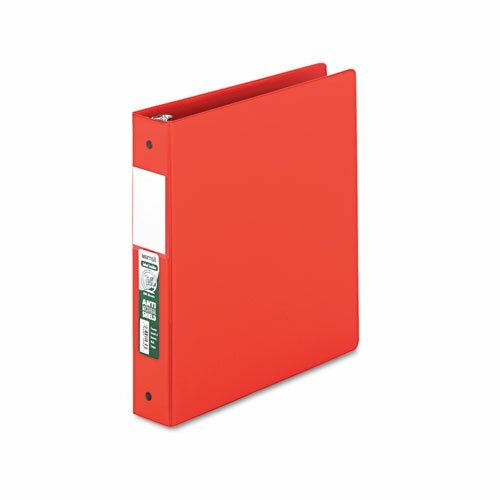 Capacity Range [Max]: 1 1/2"; Sheet Capacity: 350; Color(s): Red; Binder Sheet Size: 8 1/2 x 11. 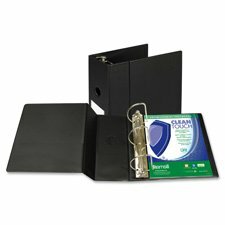 Clean Touch binders promote cleaner schools, offices, homes, and hospitals with built in protection. Agion's all natural additive fights against the growth of bacteria, mold, fungus, and mildew for the life of the binder. Agion's additive is nature's antimicrobial and is based on silver (not nanosilver). Organize your binders with fast reference label holder. 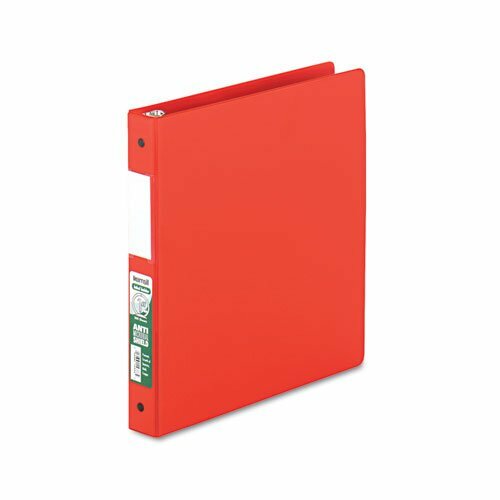 Capacity Range [Max]: 1"; Sheet Capacity: 225; Color(s): Red; Binder Sheet Size: 8 1/2 x 11. Looking for more Samsill Clean Touch Antimicrobial similar ideas? Try to explore these searches: Modelling Software, Camper Short Sleeve Onesie, and About Town Bag. Look at latest related video about Samsill Clean Touch Antimicrobial. Shopwizion.com is the smartest way for online shopping: compare prices of leading online shops for best deals around the web. Don't miss TOP Samsill Clean Touch Antimicrobial deals, updated daily.